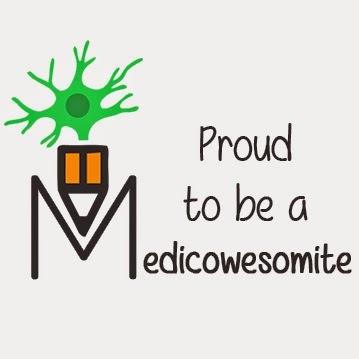 Medicowesome: Opportunity for Medical students to be part of a research study! 2. Must be from the above 4 mentioned countries or south east Asia. - Just click the following link and complete the survey. It hardly takes a couple of minutes. It works on your mobile phone, too. Note: If you are from Pakistan and can get 200+ people from your medical school to do it, please leave a comment. Your efforts will be acknowledged. I am from Pakistan and I would love to help and getting 200 people wont be a problem. I just want to ask what type of acknowledgement are we talking about? Are you willing to offer authorship? If yes, which number? @nauman..Yes, authourship is a possibility. But, you should keep in mind few things. 1. The study size is 1600. 2. The whole ground work is done by someone and the paper will be written by them. - So, the authourship number could be 6th or 7th. Moreover, after 1st author everything else is the same. Alright. I would like to help. I just request that you keep my authorship above number six. One problem though, when do you need me to start. I have exams coming up so starting before end of June isn't a possibility for me.